I have gone over the preseason, in-season, and shortly in 5-6 months, the postseason love for all things Tim Anderson. No, the another SB dude from the other, other side of Chicago. Which in my mind is a triangle, or from the angle that I am drinking at, it’s a complete hypotenuse. Yoan Moncada over the last 11 days has proven that the Go-Go Sox are in full affect, or flavor. Whatever the millennials wanna call it. Is rad still a thing? Never the who, he has 4 steals over the last 11 games and the propensity, which we thought was potential in the preseason for a lot of the southsiders, is totally a legit thing. The license to steal (like an opposite version of Bond, or a Fredo Bandido of steals) has the Sox players that hit towards the top of the lineup, when on base, gives them full autonomy to take it. And by it, I mean the steal of a bag. Not only do I love it, I would condone a trade for Yoan at some expense that is a sort of overspend. His hit rate screams breakout, and I mean who doesn’t like a screamer. Lets everyone know who is laying down the law. Gives us all a little extra wink-wink. Extra is right! He has hit near the top of the order for days and it should continue. The one thing that bad teams are good at is ulterior fantasy goodies, and steals is definitely one of those stats. So do yourself a favor, go propose to the Yoan owner and say would you have and hold me forever, and ever, and trade me him for a slightly over pay. Your stats won’t hate you in the morning. Let’s see what else is hopping on the good foot and stealing the good things in the saves and steals department. But with charts for her pleasure…or yours. Picking on catchers in daily roster moves is fun. Here are the SV leaders for steals against this season. Not ever stat is a good stat, especially when you have catchers and the frequency of steals against. It isn’t always their fault, but it is not, not their fault. Ya dig? Ender Inciarte – OBP is the king of steals determination. Ender gets on badly, but steals frequently. Six steals in last 12 games proves that to a T, especially with a just barely below .300 OBP. Steals will be there, counting stats will be meh. 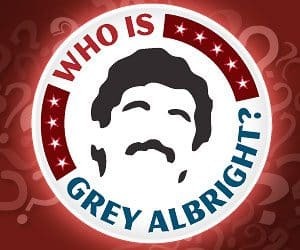 And meh is an expert word taught in all the fantasy baseball schools in Jersey… ask Grey, he has my back. Mallex Smith – The Neo of Tampa, or if you prefer, Mr. Anderson. Now has the job firmly is his grasp as Mr. Smith (Keirmaier) is on the DL. Lots of AB’s and opportunities for him to go crazy. Three steals in last 10 games played means he has wheels to burn, and lives life by the credo of “I only live life 90 feet at a time”. I am no genius but that sounds like Vin Diesel type stuff, just with shorter distance. Tommy Pham – Do yourself a favor, worried about Tommy as an owner? Don’t be! If not an owner, go trade for him. 18 runs scored in 19 games. That is a good pace, add in the counting stats like RBI’s and steals and he is going to finish 20/20 easily with 120 runs scored. Todd Frazier – Two steals in the last fortnight. Does he think this is the little league where he posed next to Jeter or the game that is taking up way too much of everyone’s kids lives? His BA is a drain, but with Cespedes out to tend to the BBQ, the RBI opps are there. The steals are just a bonus. Yadier Molina – What the everloving hell is going on? Two steals is fantastic, now go get me 10 more like it’s 2012, minus John Cusack in that awful movie. Plus, he also has more steals on the year than: Merrifield, Albies, Odubel, Peralta and a host of other dudes with feet that should work better. Corey Knebel – Threw a bullpen. Josh hader owners are going to Ebay to buy a trombone to play a sad tune. I wasn’t completely sold on Kane being Knebel in preseason, so temper expectations until you see him throw something meaningful. Darren O’Day – Brach goes boom… or sort of. O’day is the cuff now that it appears the O’s are in full committee bloom. Mark Melancon – Is returning eventually, so hold all your Hunter shares, because what once was broken will most evitable be broken again. Seeing is believing in the land of hills and crazy real estate prices. trade Chris Taylor for Yoan Moncada ? @johnnyhobbes: doubt you find a moncada owner willing to do that one. @AllThePrettyStantons: @johnnyhobbes: what kind of beer? Im trying to upgrade 1B by packaging Thames with one of my RPs. Which one of these RPs do you see having the least value ROS. Devenski, Strickland, Boxberger? I heard that Melancon is getting closer to returning. I assume that they would give him the gig back to justify the money spent. At least until building him up some trade value. Box has had some hiccups lately with Bradley getting the last save opportunity and Devenski is no sure thing but has the best peripherals. @dubjay: I think its a perfect time to rid yourself of Melancon and sail on. I’m last place in steals and Delino Deshields just got dropped…how much $$ should I put towards him? Thanks!